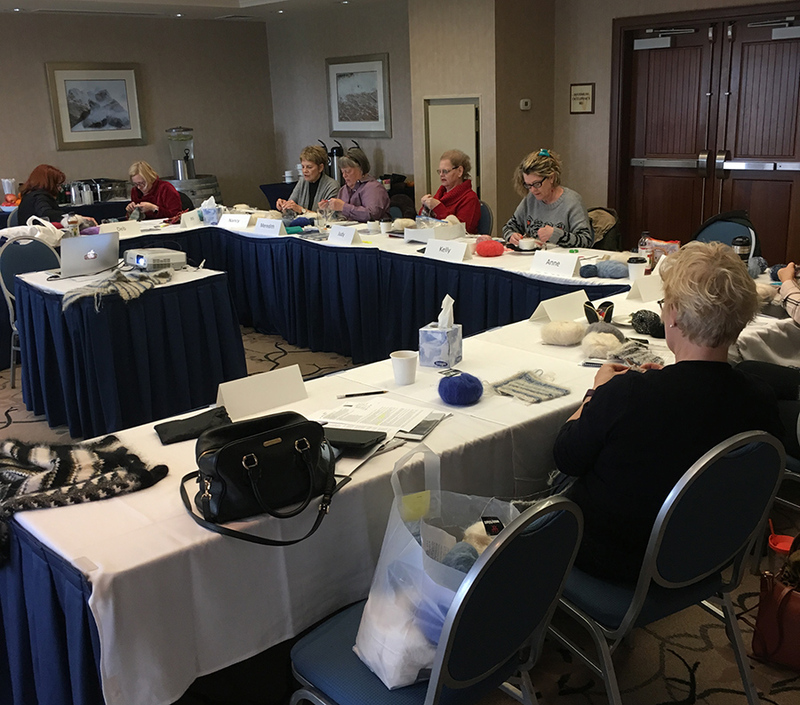 I've taught some knitting here and there, but now that I've been an instructor at a whole RETREAT, I can officially knight myself a Knitting Teacher. A Knitterati! <-- ok, ok not yet. 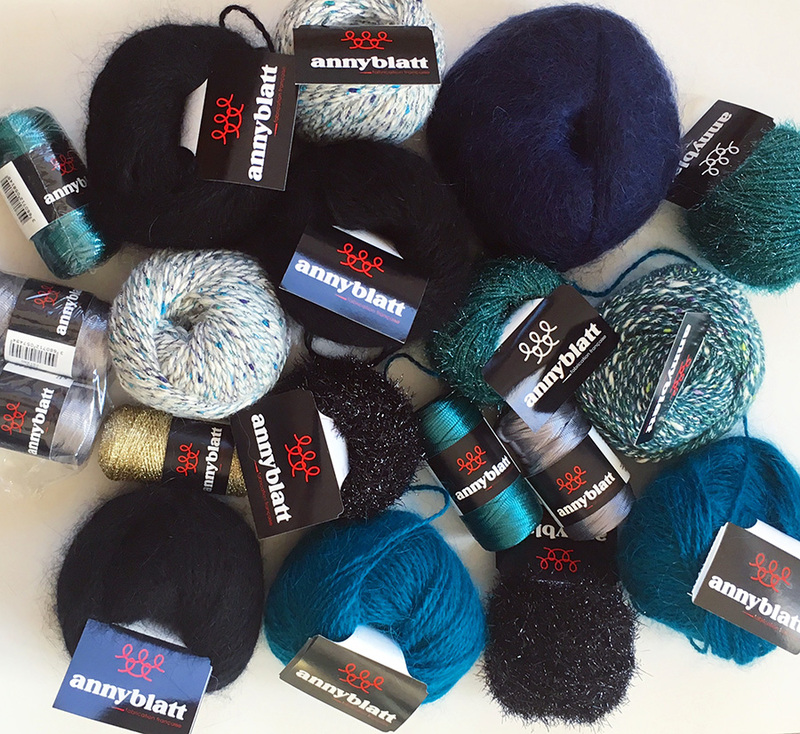 Last week marked the 1st Anny Blatt Knitter's Holiday hosted by Anny Blatt North America. 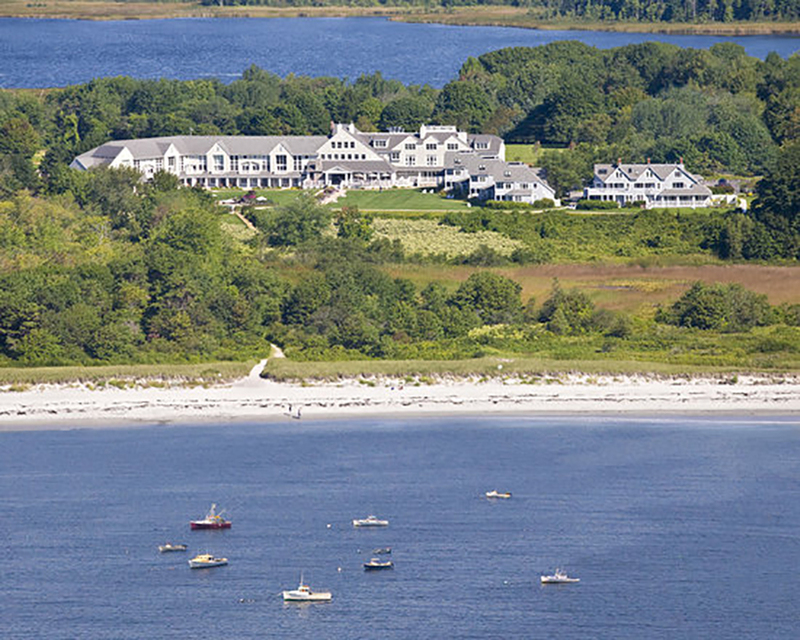 It was 4 days and 3 nights of knitting, eating, fashion shows, crocheting and more eating at the Inn by the Sea in Cape Elizabeth, Maine. First off -- I'm not sure I've ever stayed in such a luxurious room before. Myself and the other teacher, Cassandra Tonkin of Licari, had a "suite" that was actually larger than any of my apartments, ever. 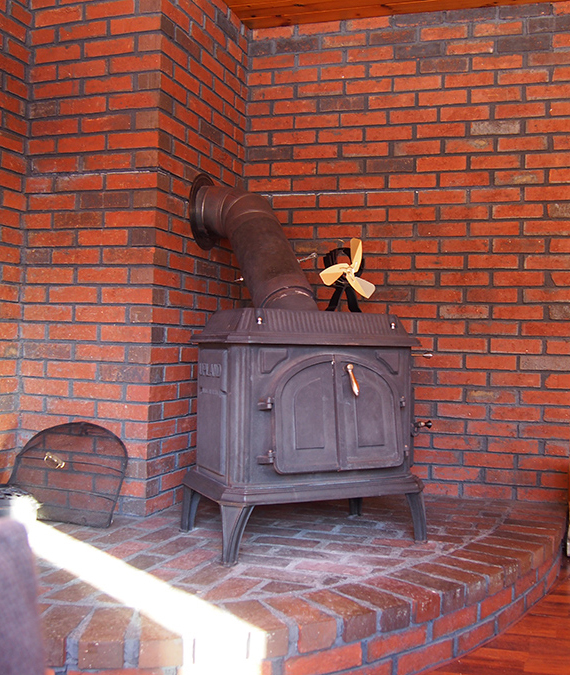 There was a "tub" (uh, lap pool), 2 roomy bedrooms with king and 2 queen beds, a "kitchenette" (with a full size fridge/dishwasher), a dining room, a living room with fireplace AND an outside covered sitting area with a full couch set! WOW. Not that I spent much time in the room because I really only wanted to be two places. 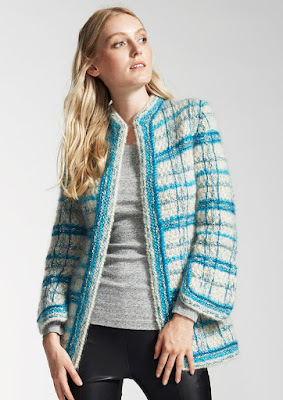 The point of the Knitter's Holiday was to get a group of knitters together (ranging from Anny Blatt neophytes to superfans), to learn all the techniques necessary to knit one of their iconic Chanel-style patterns, the Harvey Jacket. One student had been knitting Anny Blatt since the pattern books were in the single digits (we're at book No. 226!). Others had never made an Anny Blatt design but were using the retreat as their trampoline into the brand. 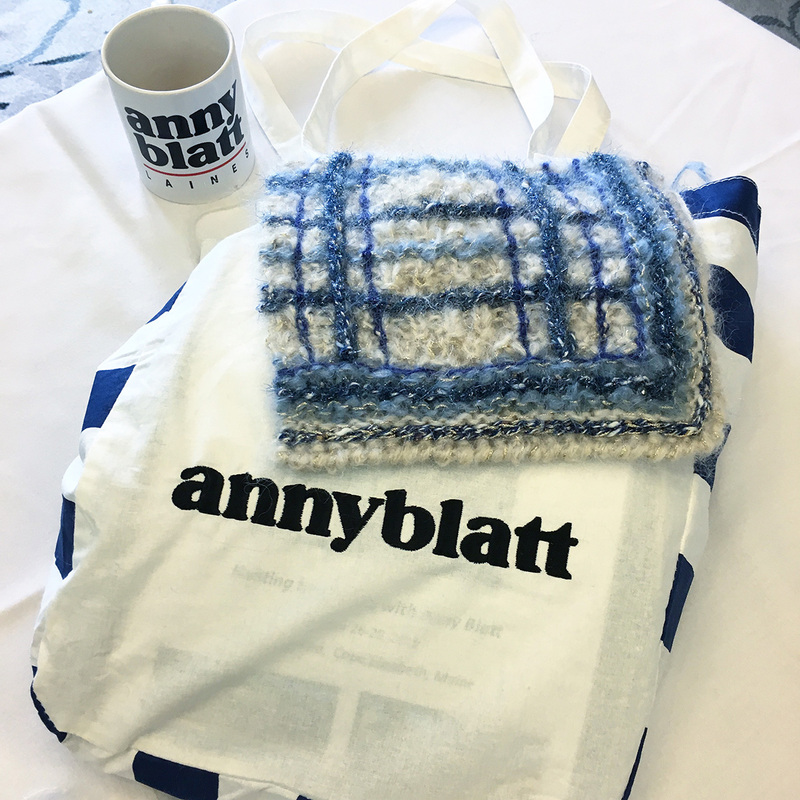 When I asked Cassandra how she got into Anny Blatt, she told me her mother was an avid fan but wouldn't let her try on her precious Anny Blatt sweaters! How to solve that problem? Start knitting them yourself. 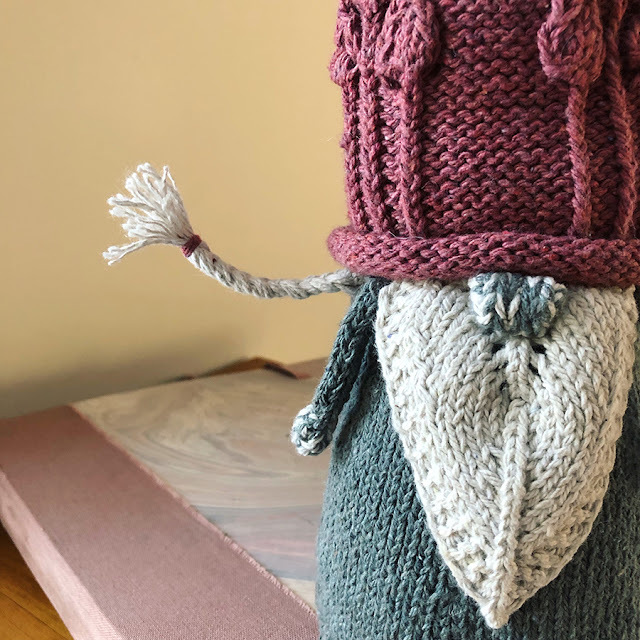 👉👉If you want to learn from someone who takes extreme care with her knitting and knows all of the ins and outs of Anny Blatt patterns, Cassandra Tonkin is the teacher for you. 👈👈 I was so lucky to have met her and to have had the chance to be HER student even while I was a teacher. Obviously, you can't knit much of this jacket in 3 days, so we designed a swatch that would lead knitters through the steps of the project. Left: PART 1. Right: PART 3. The jacket is done in 3 parts. PART 1. Striped knitting. Easier than you thought -- it's just garter and double moss stitch! And with US 10.75 needles it knits up quick. 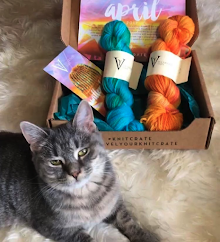 By the way, if you'd like to know how I carry yarn up to be used in stripes, I made you a video. PART 2. You see that little point in the left swatch? That's to make a mitered corner. 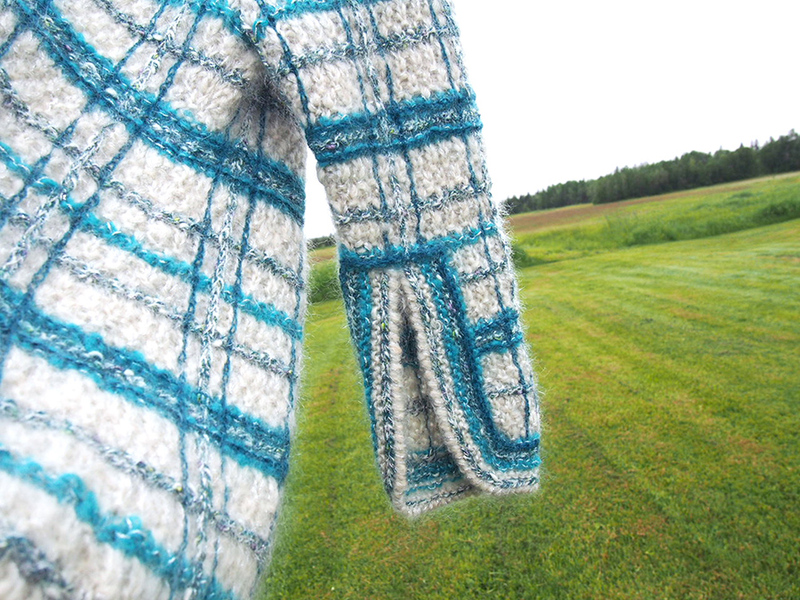 Pick up stitches along the right edge and knit in garter to match the stripes on the other side. Sew the corner together and you've got a baby lapel or corner! Scared of the next part? No problem, stop here and you'll still have a beautiful jacket! I was excited to see our students do so well on their swatches!! 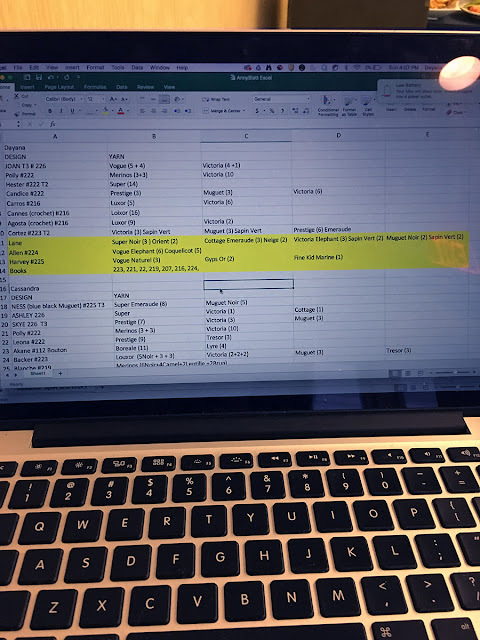 No, REALLY -- I wasn't sure if we'd be able to get through it all over the teaching period, but we did it. 👏 Thanks for your hard work, students! For me, the highlight of the retreat was the Anny Blatt and Bouton d'Or fashion show. 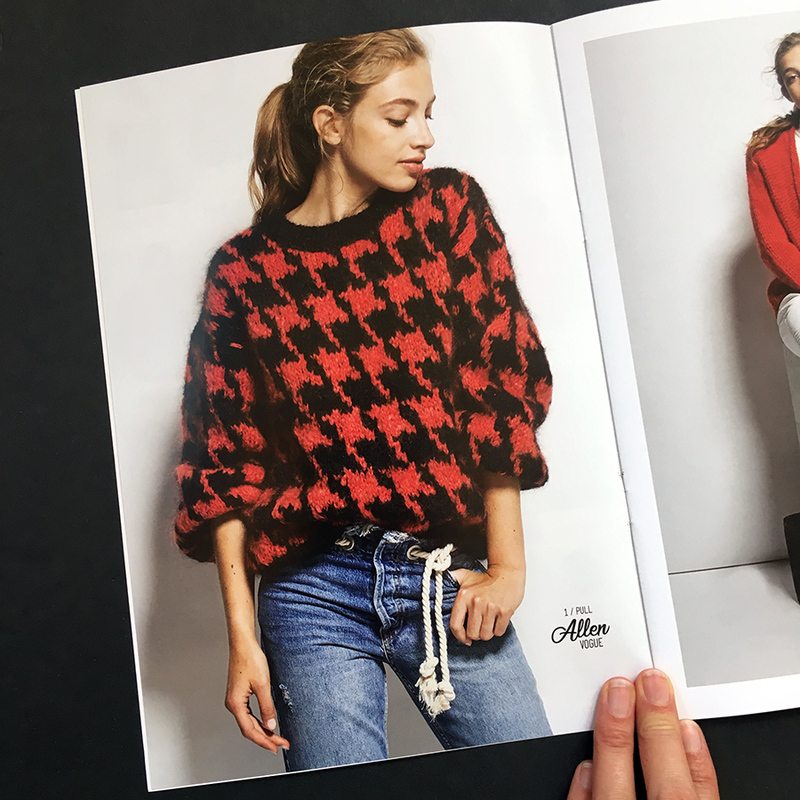 THIRTY FOUR knits! 34!!!! 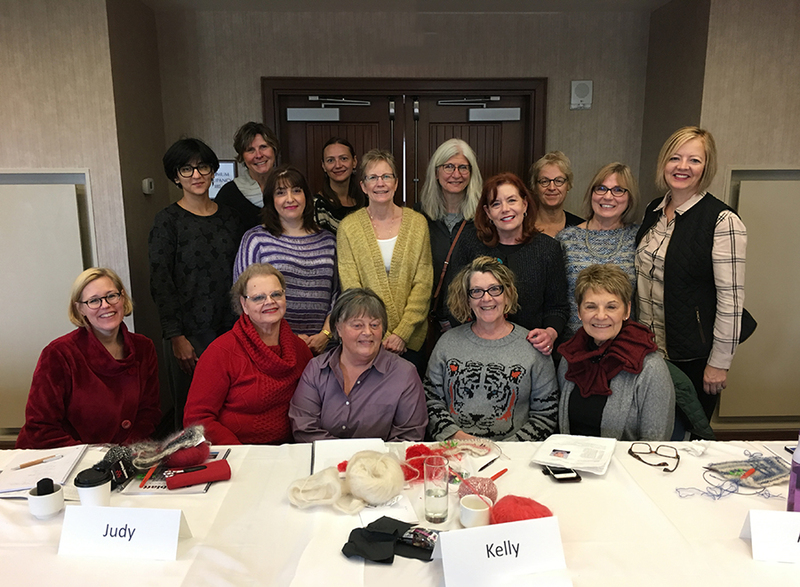 Some were knit by the amazing organizer Sandy Spiller (owner of Essentially Felt yarn shop and Anny Blatt North America), many by Cassandra, and two by me. The rest were knitted in Europe by Anny Blatt. 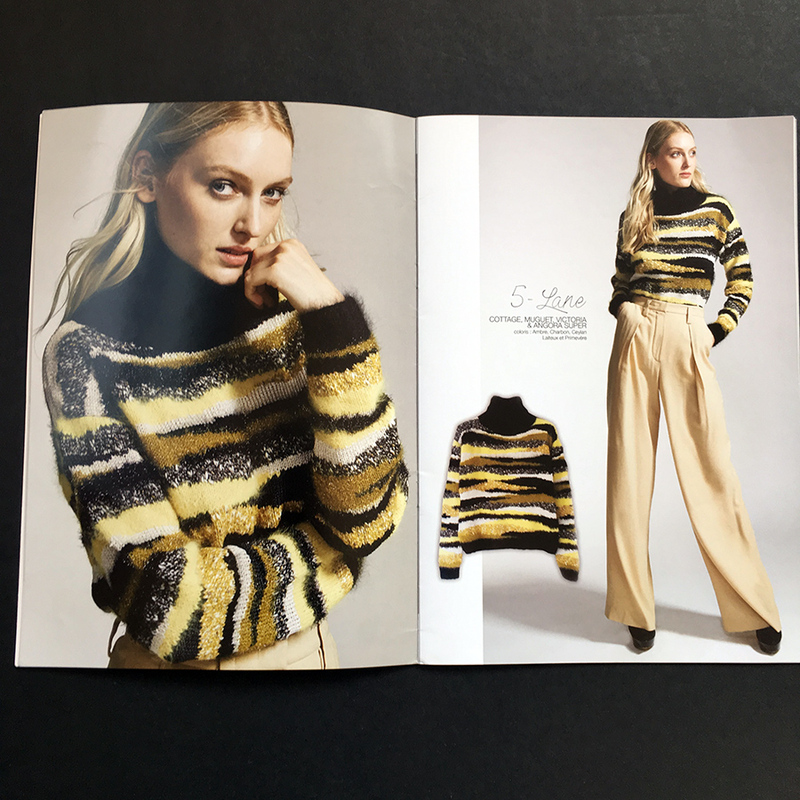 I cannot emphasize enough how fabulous it is to see these knits in person. Designs I hadn't even glanced at moved immediately to the top of my queue. It was incredibly informative and I will definitely make an effort to go to trunk or fashion shows in the future! Here are my favorite designs that were modeled at the retreat. There was another fashion show -- even better in some ways -- of Anny Blatt or Bouton d'Or items made by our students. Such great stuff, with an added bonus of being able to talk to the knitter about their experience making the item. And let me get sappy here, but it really did tie us together and make us feel like a family that really treasured how these yarns had inspired us. So... it wouldn't be an exaggeration to say that the SHOP WAS OMG AWESOME. 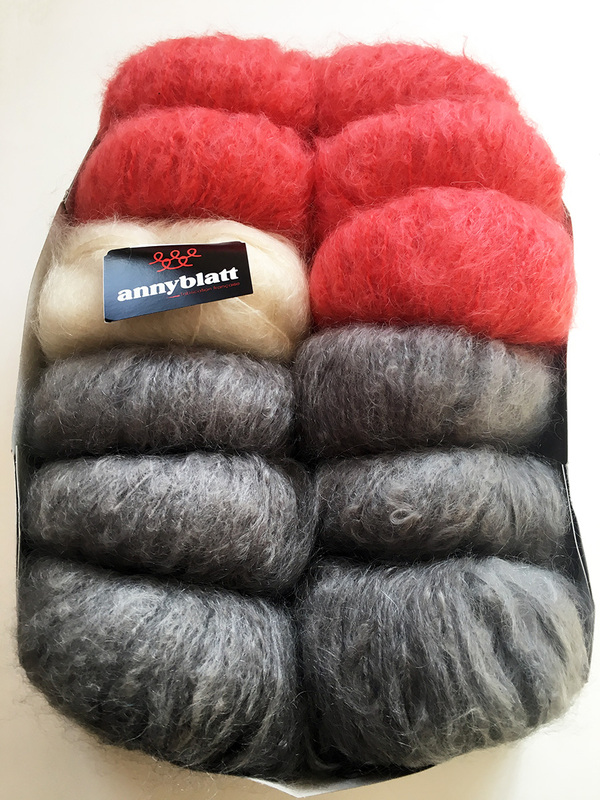 I had never gotten the opportunity to see all of the current shades of Anny Blatt and Bouton d'Or at once, nor had I had the time to pore over the books in detail to immediately create new colorways and looks. A unique trait of these yarns is that they are often combined in patterns (sometimes in up to 5 strands!) to make incredible textures. A color on a computer screen just ain't the same thing. 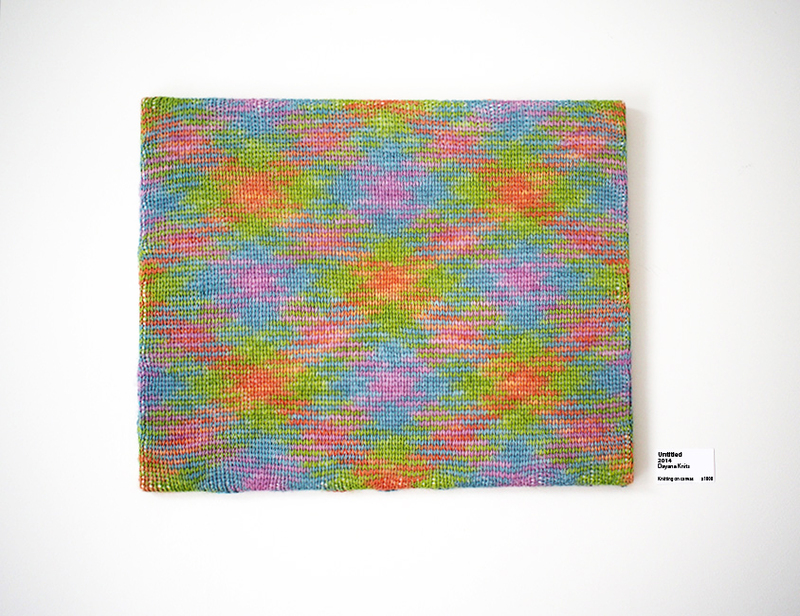 Also -- key -- colors are repeated across yarn lines so you can create these textures in identical shades! This is amazing to understand in person, to see how that option can transform your garment. Oh boy, now that I've admitted to the Excel sheet, I'm sweating! Almost all of the yarn above is for one project, the intarsia-tastic Lane Pullover. 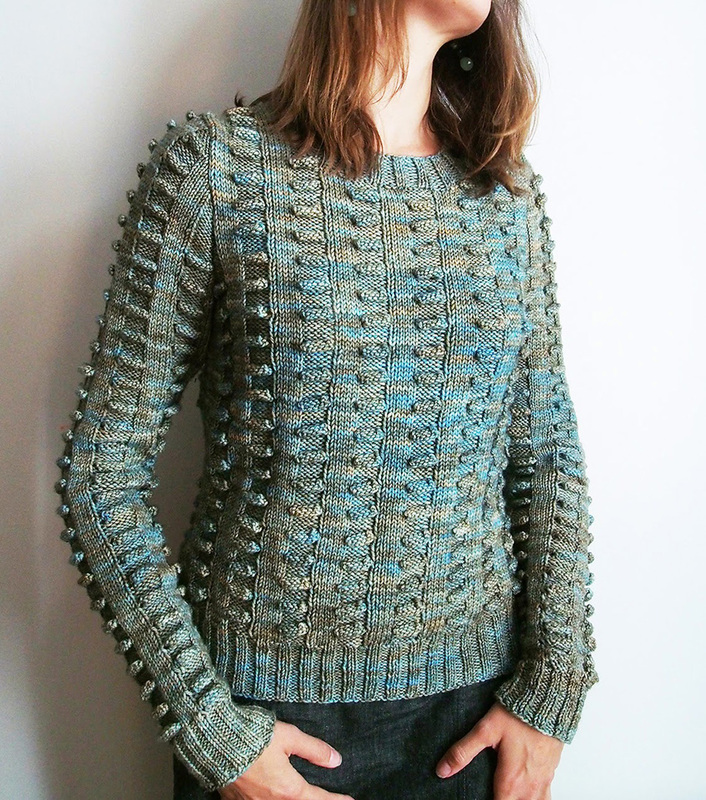 I loved the textures, the wearability and the difficulty of the project -- but not the colorway. So, I took this opportunity by the <<BLEEPS>>, and made my own tourquoise/black combo. My next project was unexpected. Until the fashion show, I hadn't paid much attention to the bulky mohair yarn called Vogue. It was only when I wore several items in the yarn that I realized I HAD TO HAVE IT. I'll be making this oversized houndstooth number called Allen. Can't wait to dive into this thing and not take it off until May in Maine. The third project is just to continue along the way on the Harvey Jacket. 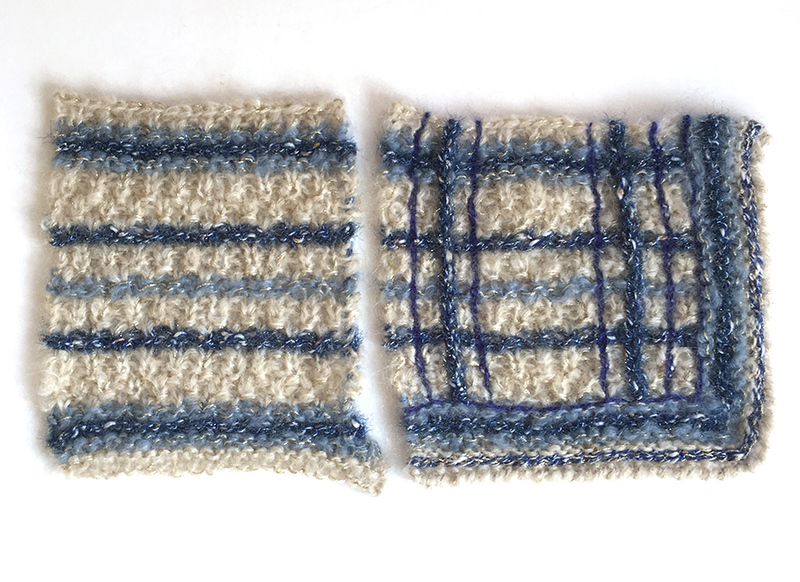 I inherited a demo sleeve, and had made a front and a mini back to demonstrate stripe matching and the mattress stitch. How could I let those beautiful pieces maintain their out of body experience?? So I'm going to finish that up, too. Very excited. Ok, I don't actually know if there will be a Knitter's Holiday next year -- but I certainly hope so! 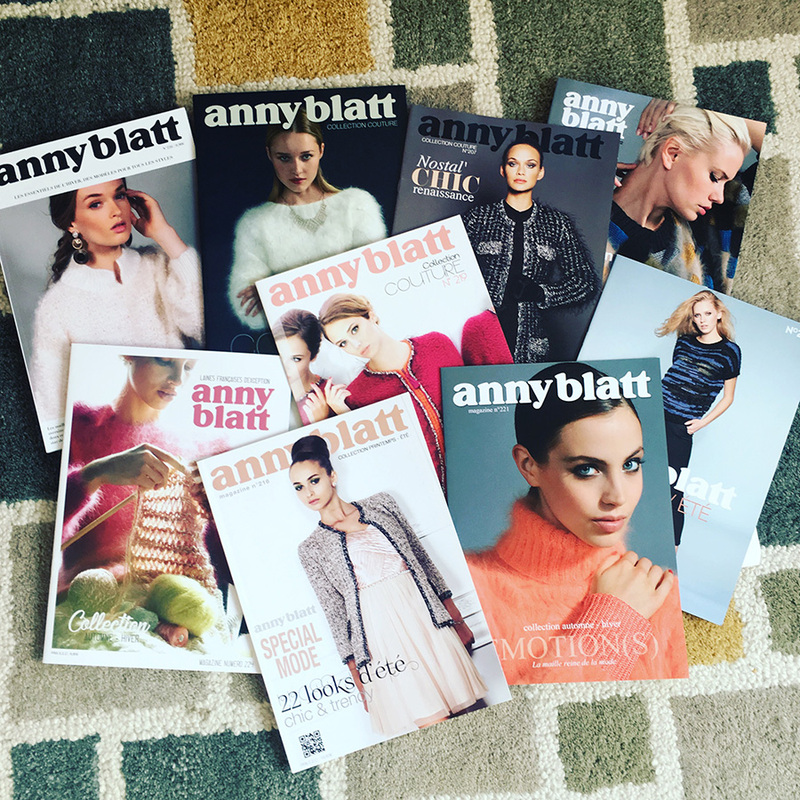 If you'd like to be the first to know (or just get Anny Blatt info in general), scroll to the bottom of the Anny Blatt North America home page to sign up for their newsletter. Hope to see you there! What a super-looking collection - I'd love to have this! This is a keeper. Lovely projects. I love your patterns and amazing colours. Thank you. I love your patterns and your amazing sense of colour. Thank you.